The big trucks weighing more than 16 tons are included in the Heavy segment. They are the second largest group in commercial vehicles market, with 20% of total sales during 2012. 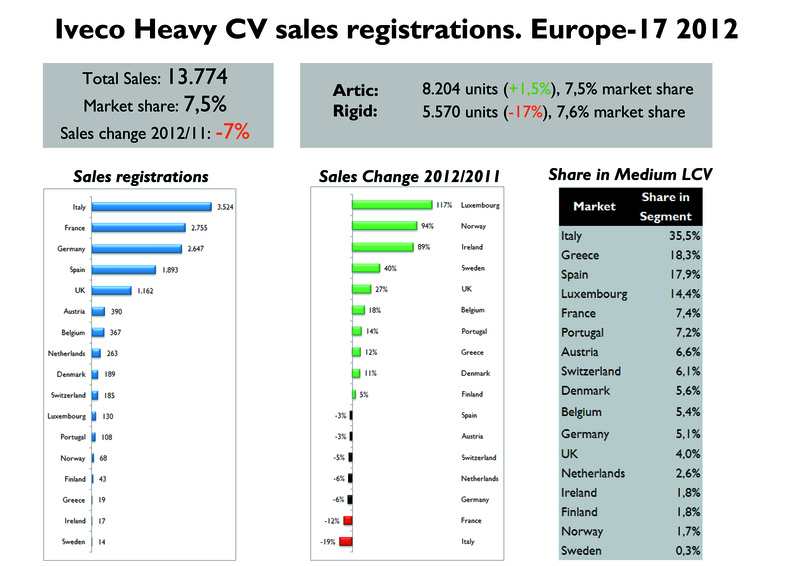 A total of 183.000 units were sold last year in Europe-17, down 9,5%. They are divided in 2 groups: the Artic and Rigid. The first ones refer to articulated vehicles with a permanent or semi-permanent pivoting joint in its construction, allowing the vehicle to turn more sharply. The Rigid ones usually have three or more axles. The artic counted for 60% of the heavy segment, down 11%, while the rigid sales fell 7%. Germany was the largest market, with 28% and the third largest fall among 5 major markets. Then comes France, and the UK, with a tiny fall of 0,5%. Italy had the worst performance, with sales down a massive 29%. It was even outsold by Spain. 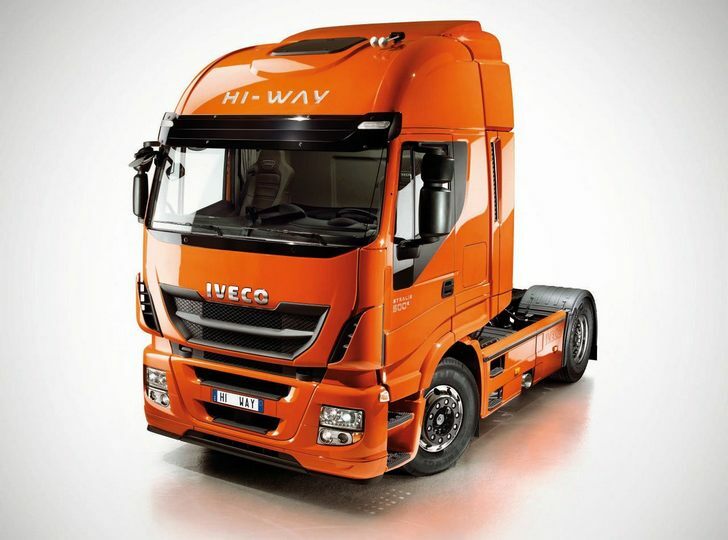 Iveco was able to increase its market share from 7,3% in 2011 to 7,5% in 2012. 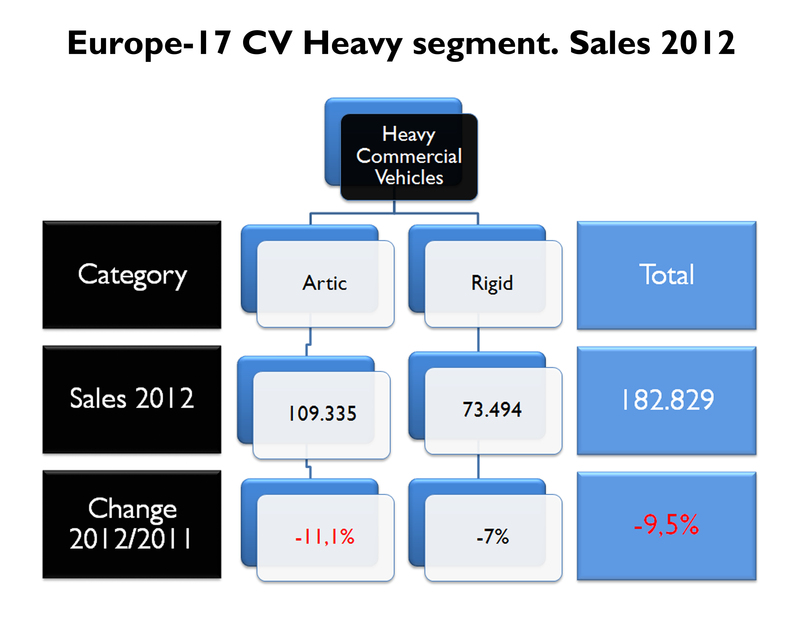 Its sales fell 7%, as its Artic line (Iveco Stralis) helped to offset the big fall in the Rigid line. Iveco sold 8.200 articulated commercial vehicles and 5.600 rigid ones in 2012, with the same market share in both segments: 7,6%. Share advanced almost 1 basis point in Artic segment, while it decreased 0,9 basis points in the rigid one. Italy ranked first with 26% of total sales. It was followed by France, Germany, Spain and the UK. British and the Europe-12 were the only markets to perform positive during 2012. 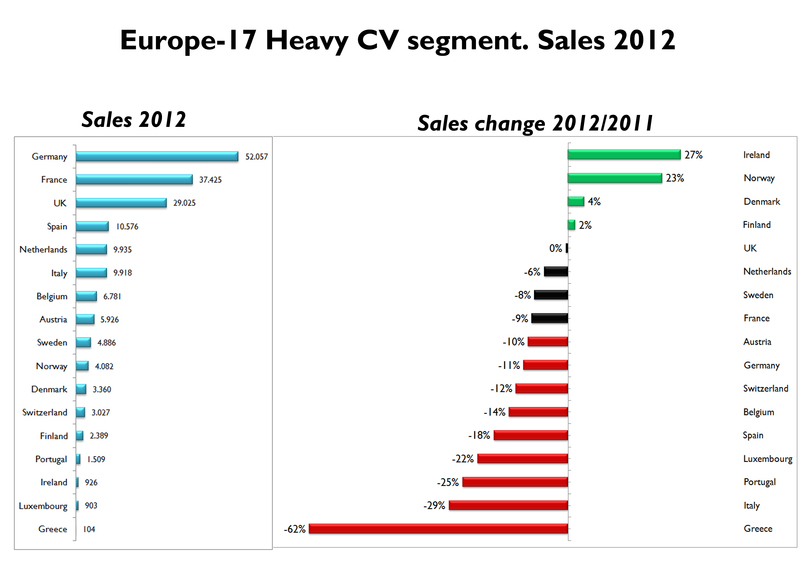 Mercedes leads this segment, with 22% market share in Europe-17. MAN, Paccar and Volvo follow. Iveco occupied position # 7. 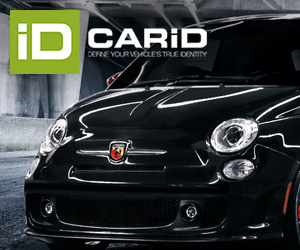 The Italian brand ranked first in Italy and Spain. Curiously, Mercedes leads in only 3 markets: Luxemburg, Switzerland and Germany, but occupies second position in Italy, France, UK, Portugal and Greece. I really had no idea about the size of the CVs market..
Ps: come va con gli studi? Hi Juan How are doing? i just have an idea about working togeether in our site, Do you have some speacial video about Fiat group or Chrysler group?? if you have some send it to me to put it to my channel, or i maybe give you an entry to my Chanel to put the videos there , if you agree about this idea just let me know .